Download the Whispering Springs Golf Club mobile app to enhance your experience. Mobile apps contain many features like scorecard, GPS, tee times, news, deals and more! Click on the icons for more information and free download. 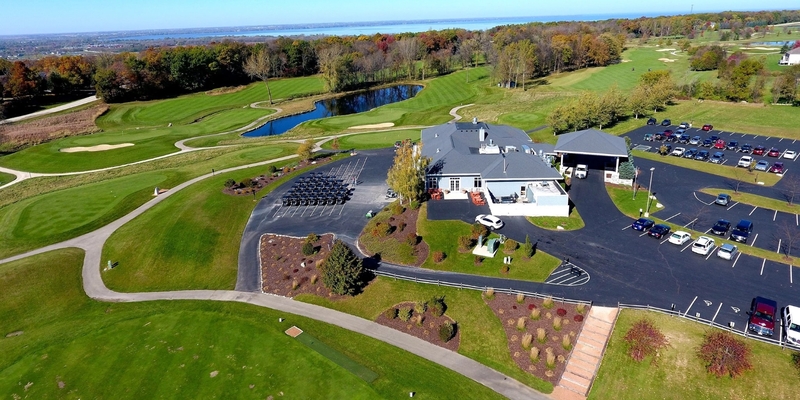 Located on a wooded ledge overlooking Fond du Lac, Wisconsin, the routing of the golf course at Whispering Springs has artfully woven an interesting array of golf holes through the property?s natural mix of hardwood forest and meadowlands. No two holes look the same. And with five sets of tees, you can choose the length of golf course that matches your playing ability. Country club quality maintenance standards are the rule at Whispering Springs, one of the few daily fee courses in the area offering bentgrass tees, greens and fairways. Add a complete practice center, snack bar/lounge, and Whispering Springs offers everything you need for a totally enjoyable round of golf. 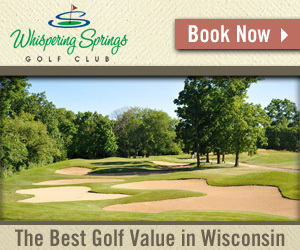 During the 2010 season, "The Hacker's Guide" reviewed Whispering Springs Golf Club, rating Whispering Springs #4 in the "Top 20 Wisconsin Courses"! alike. Some feel it's the best quality golf value in the state." Located off of Highway 23 east of Fond du Lac. Up to 7 days in advance. When you bring out 44 players or more, your group will qualify for our outing discount. We accommodate groups that simply require tee times as well as groups that are looking to take advantage of our banquet facility. Our banquet facility was built in 2008 and offers beautiful views of the golf course in addition to the gorgeous decorating inside. The facility is both classy enough for a wedding and relaxed enough for your post outing cocktail hour. In addition to the beautiful scenery, our kitchen delivers extraordinary food that is sure to impress and create a lasting impression. Every one of our outings are tailored specifically to your requests, so please don't hesitate to call and set up your next event! Greg has been teaching for over 30 years throughout the country and has called Fond du Lac home for the past 33 years. He is the only professional in the state of Wisconsin that is recognized directly on Manual de la Torre's website as an endorsed teacher of the de La Torre System. Manual de la Torre is widely recognized as one of the finest teaching professionals in the world, having played alongside storied players like Hogan and Snead and teaching players who have gone on to notoriety on all tours. With Greg's years of experience, he is skilled in teaching all ages, genders and skill levels. Should you decide to improve your game, lessons with Greg will give you the tools to help you practice and have you seeing results that will last. We are proud to welcome Andy back to Wisconsin and to our staff at Whispering Springs. A former Wisconsin native, Andy has been a PGA professional in Michigan and has been a PGA member for 16 years. He graduated from Ferris State University in their Professional Golf Management program and in 2001 was awarded the PGA PGM Titleist Scholarship. Andy has learned the fundamentals of the swing and how he teaches the game from all the people he took lessons from, including Rick Smith and many other professionals. He has worked with juniors/beginners as well as skilled players and likes to keep the learning process basic and fun. Some of Andy's accomplishments are: All American Player in high school & in college, and just recently won a district coach of the year award for coaching high school boys golf. Whispering Springs is now proud to offer the technological addition of FlightScope. FlightScope, utilizing doppler radar, produces a swing evaluation more in depth than ever before. This technology is being used by the top professionals throughout the world and is changing the way the golf swing is being taught. The new year-round banquet facility offers just over 3,500-square-feet of space for your next event! From the instant you walk through the doors, you are greeted with genuine hospitality and warm designer touches by Linda Pacifico. A large stone fireplace welcomes you in the foyer and natural light pours into the ballroom and bar area from the windows lining the walls. 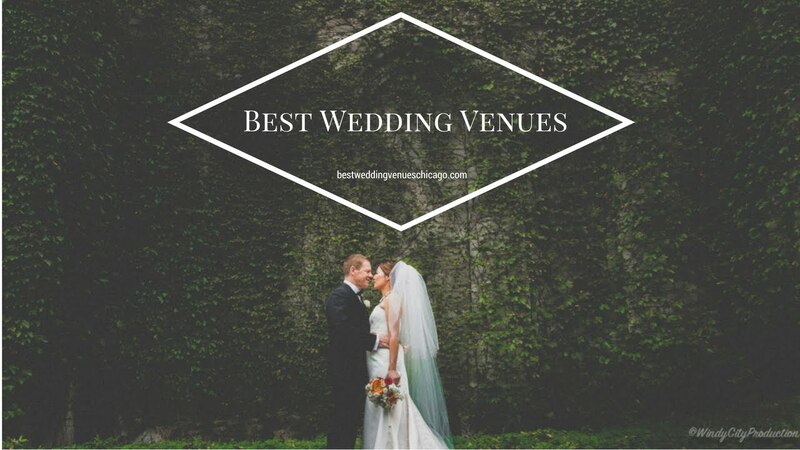 The ballroom is large enough to accommodate up to 250 people banquet-style and is equipped with a wrap-around deck to highlight the breathtaking views. The large ballroom is versatile and divides into two intimate spaces for smaller groups. Complimentary wireless internet is provided and other audio visual equipment is available to rent. You will work directly with an experienced Event Manager to ensure that the details of your event are a success!. We are happy to customize any menu just for your group. The grill at Trep's TRAP, "the one trap you will want to be in", is open daily to the public during the golf season. The menu includes delicious appetizers, sandwiches, wraps, pizza, and other daily specials. There is also outdoor patio seating available, so you can enjoy the scenery and watch the players come in. 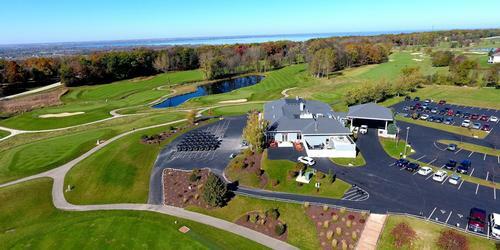 Whispering Springs Golf Club in Fond du Lac, Wisconsin. It's an 18 hole course with bentgrass from tee to green. Watch the Whispering Springs Golf Club | Wedding Video Video. 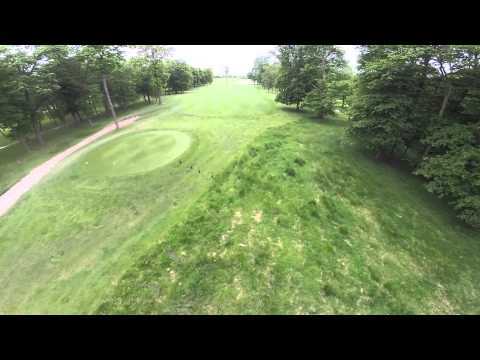 Great golf course! Get out and play this one! This profile was last updated on 03/19/2019 and has been viewed 44,719 times.